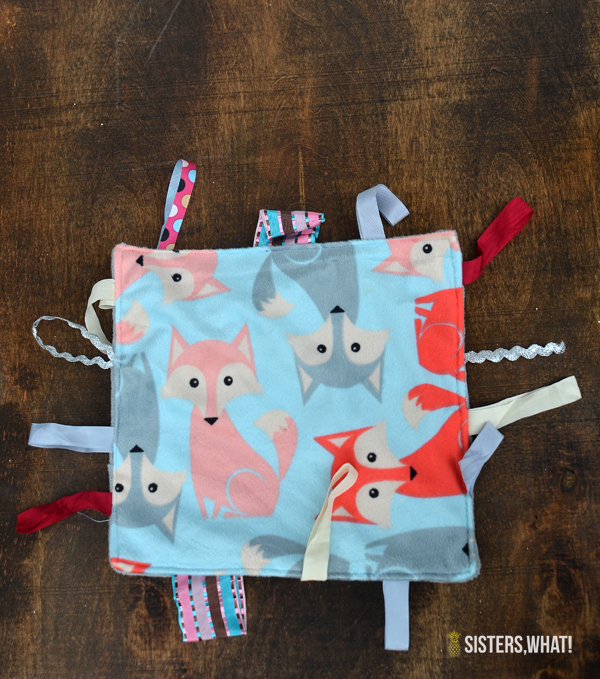 ' DIY Baby Tag Blanket Tutorial - Sisters, What! I can't believe it's been 7 months since I had my baby girl! Seriously, how does pregnancy last forever but they grow so big in the blink of an eye! 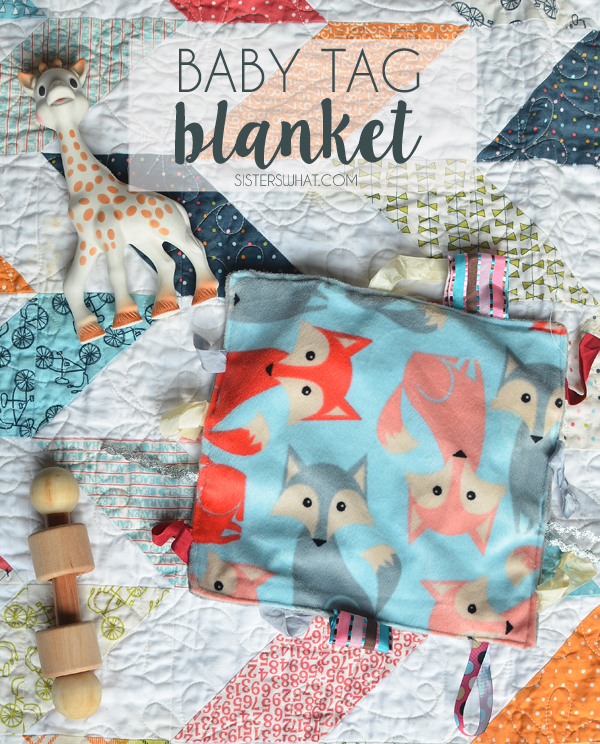 When I made this baby tag blanket, I was 8 months pregnant and figured it would be a really like time away before she could play with it. But, umm...2 seconds later and here we are. It's one of my favorite baby things I've made. I made it out of left over fabric from her soft fox minky blanket. 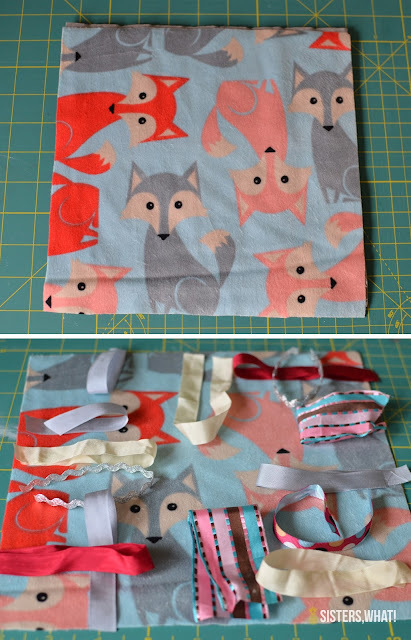 I remembered how my other two loved playing with the baby wipes bags, so I decided to cut up one of those and put it into this baby tag blanket. It's fun and makes that crunchy noise of the wipes bag. Cut up your baby wipes bag until you get a square. 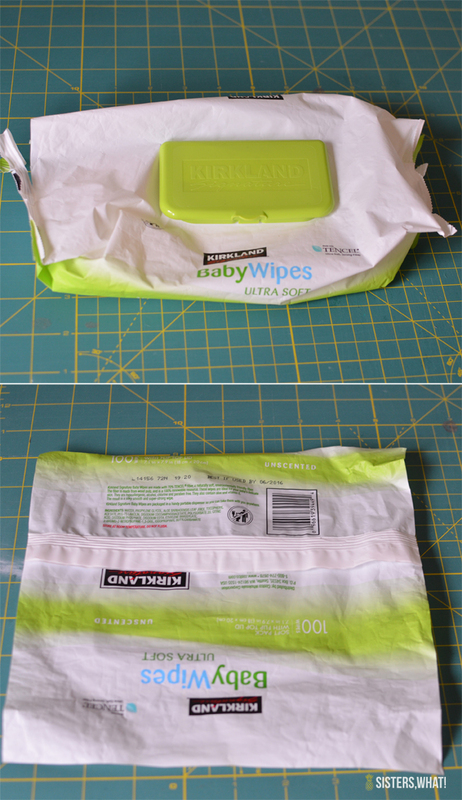 Cut up two pieces of fabric to be a square the same size as the wipes. 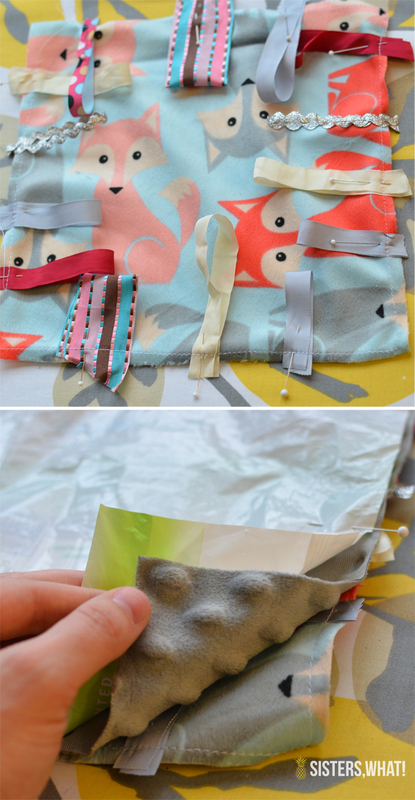 Place your ribbon on one side of the fabric pieces (right side) and baste them on. Now make a sandwich: baby wipes on top, your two fabric pieces next (with their right sides together). Sew all the way around but leave a small opening to turn it. After you sew and turn it, stitch up the opening and your done. Got to love fun home made baby toys. I love that it matches her blanket I made her. Thanks for stopping by!